Conflict in the workplace is inevitable. No matter how friendly you may try to be, annoyances and disagreements are bound to happen. Clashes can occur for a variety of reasons, including differences in work approach, age, learning style, personality and communication style. Dealing with these situations in the workplace can lead to feelings of frustration or disappointment, but it doesn't have to derail your career. Attend this one-hour webinar and learn how to foster greater productivity and fewer misunderstandings between your coworkers. How to Overcome Disruptive Workstyle Differences will provide insight into some of the many reasons people experience conflict and disputes, and offer practical solutions to the frustration and discontent caused by differing styles in the workplace. Can you relate to these situations? Kathy likes to come in and get right to work. She focuses on results and gets enjoyment from completing her assignments. She sees idle conversation as a distraction from the task at hand. Linda likes to get to know and converse with her colleagues. She views relationships as a vital part of her work. She thinks Kathy is aloof and cold, while Kathy finds her overly sensitive. Frequently, frustration with coworkers is the result of incompatible work styles. People approach tasks and projects in different ways, and the combination of certain work styles can lead to conflicts and misunderstandings. Discover how to overcome personality differences and encourage team members to work together more cohesively. Mike, 50, often has to collaborate with Toby, a twenty-something project manager. Mike frequently works long hours to get the job done, but Toby is reluctant to stay late or come in on the weekends. Mike thinks Toby lacks a strong work ethic. Toby thinks Mike needs to focus on his results, not his process. 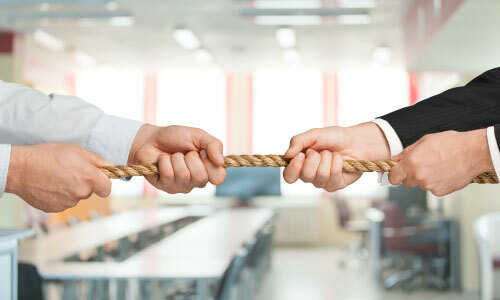 According to the Society for Human Resource Management, nearly 60 percent of HR managers at large companies say they've observed office conflicts that arise from generational differences. Learn how members of different generations think and act, and how to capitalize on their behavioral styles. Eric regularly attends meetings with Jenna, who tends to talk loudly and quickly. He thinks she is pushy and overbearing. Because Eric speaks more slowly and deliberately, Jenna thinks he takes too long to make his points, and assumes he isn't very bright. Differences in communication styles can affect not only how we judge someone else, but how we interpret and respond to what they are saying. Understand how to better relate to other people and keep personal judgments from interfering with workplace productivity. As a manager, supervisor, team leader or an employee of any position, you probably find yourself dealing with situations like these far too often. Don't waste another minute of your day feeling frustrated and misunderstood — get the training you need to overcome differences you have with coworkers and begin feeling more productive and less stressed! You and your entire team will benefit from this informative 1-hour Webinar. Find out how easy it is to curtail conflicts and bypass blowups by getting team members to understand each other and work together more cohesively. Register today! Managers, supervisors, team leaders and individual team members — anyone wanting to discover ways to work with people of different styles and backgrounds to ensure greater productivity, fewer misunderstandings and less frustration.